Congress and the Obama Administration have expressed interest in addressing multinational corporations’ ability to shift profits into low- and no-tax countries with little corresponding change in business operations. Several factors appear to be driving this interest. Economists have estimated that profit shifting results in significant tax revenue losses annually, implying that reducing the practice could help address deficit and debt concerns. Profit shifting and base erosion are also believed to distort the allocation of capital as investment decisions are overly influenced by taxes. Fairness concerns have also been raised. If multinational corporations can avoid or reduce their taxes, other taxpayers (including domestically focused businesses and individuals) may perceive the tax system as unfair. At the same time, policymakers are also concerned that American corporations could be unintentionally harmed if careful consideration is not given to the proper way to reduce profit shifting. 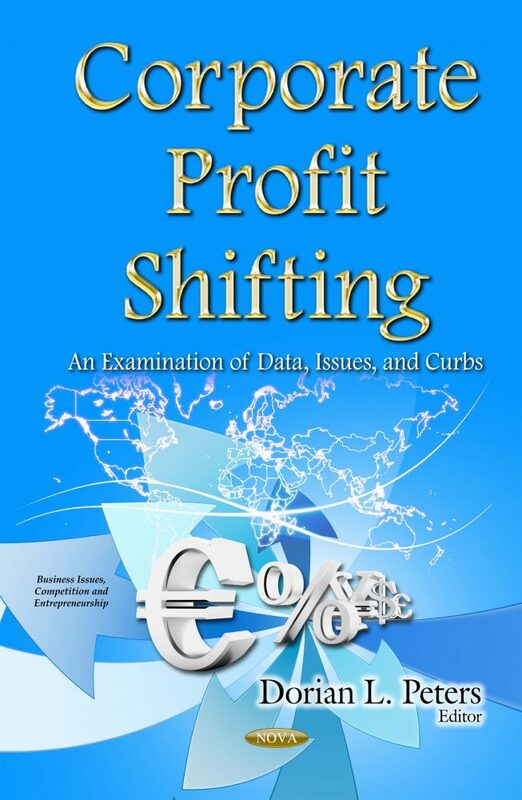 This book is intended to assist Congress as it considers what, if any, action to curb profit shifting. This book discusses the methods used for shifting profits only to the extent that it is necessary for interpreting the data or discussing policy options. In addition, this book addresses tax havens; basic concepts and policy issues of U.S. international corporate taxation; and reforms of U.S. international taxation.